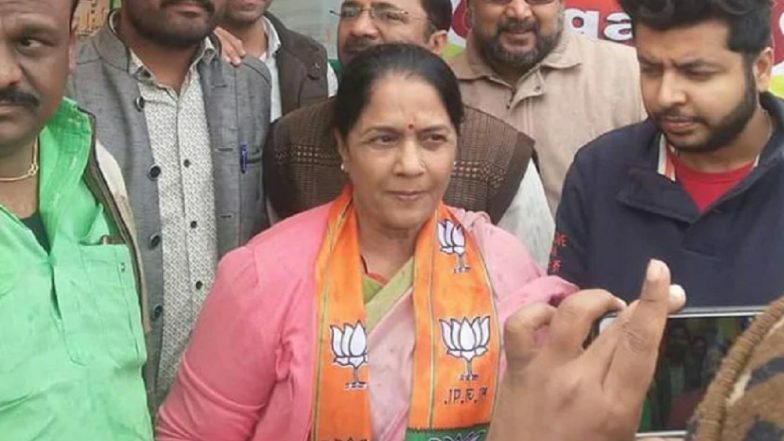 Jaipur, March 21: The BJP Thursday fielded 14 sitting MPs, including four union ministers, and dropped the only woman lawmaker from Rajasthan as it announced its first list of candidates for the Lok Sabha polls. In the first list, the BJP announced candidates for 16 of total 25 Lok Sabha constituencies in the state. Union ministers Arjun Ram Meghwal (Bikaner), Rajyavardhan Singh Rathore (Jaipur rural), P P Chaudhary (Pali) and Gajendra Singh Shekhawat (Jodhpur) have made it to this list. Smriti Irani Named in 1st BJP List of Candidates, Set to Contest Against Rahul Gandhi From Amethi. Ajmer Lok Sabha seat lies vacant after Congress's Raghu Sharma, who had won the Ajmer seat in the Lok Sabha bypoll held last year, was elected to the state legislative assembly in December. Lok Sabha elections will be held in two phases in the state where 13 constituencies will go to polls on April 29 and remaining 12 on May 6. As per the schedule, Tonk-Sawaimadhopur, Ajmer, Pali, Jodhpur, Barmer, Jalore, Udaipur, Banswara, Chittorgarh, Rajsamand, Bhilwara, Kota and Jhalawar-Baran will go to polls on April 29. Elections in Ganganagar, Bikaner, Churu, Jhunjhunu, Sikar, Jaipur rural, Jaipur, Alwar, Bharatpur, Karauli-Dholpur, Dausa and Nagaur will take place on May 6.